All remains of this site, first mentioned as a stone circle in 1836, have gone. The place could be found by the appropriately named Stone Farm at the top end of Wainstalls and was first mentioned by John Watson (1775), who strangely said nothing about any circle here. 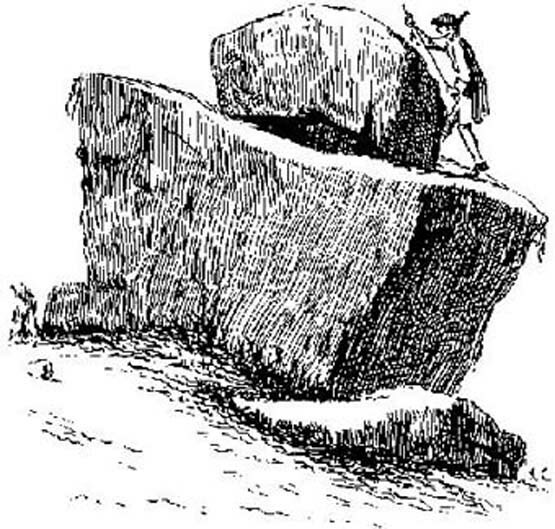 However, this changed when John Crabtree (1836) arrived and described a ring of stones surrounding a large boulder in the centre (illustrated here). The boulder itself was actually called the Robin Hood Penny Stone. Bennett, Paul, The Old Stones of Elmet, Capall Bann 2001. Dobson, R.B. & Taylor, J., Rymes of Robyn Hood, Alan Sutton: Gloucester 1989. Faull, M.L. & Moorhouse, S.A., West Yorkshire: An Archaeological Guide (4 volumes), WYMCC: Wakefield 1981. Varley, Raymond, “A Stone-Axe Hammer, Robin Hood’s Penny Stone and Stone Circle at Wainstalls, Warley, near Halifax,” in Yorks. Arch. Journal 69, 1997. 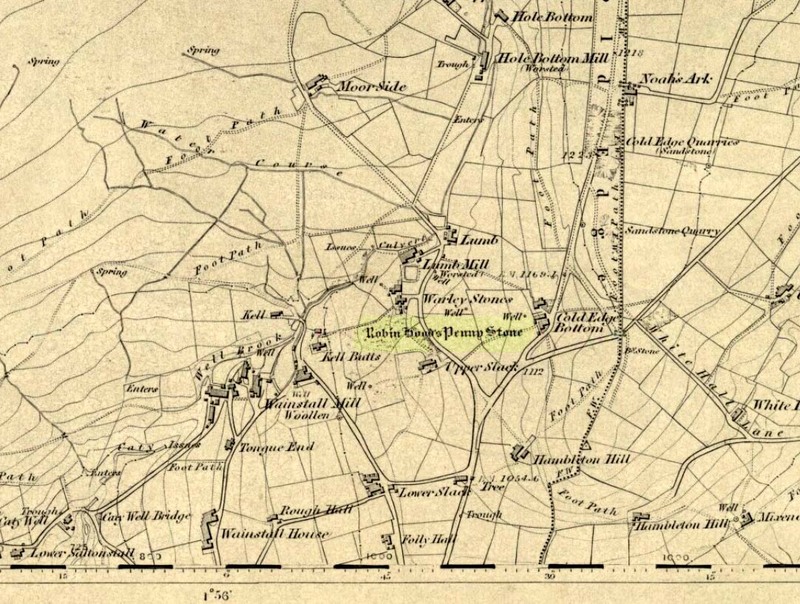 This entry was posted in Brigantia (Northern England), Stone Circles, Yorkshire, West and tagged alignments, antiquarian, antiquities, Archaeology, Bronze Age, Calderdale, earth mysteries, english heritage, folk-lore, folklore, geomancy, Halifax, healing, legends, Luddenden, megalithic, Megaliths, Mixenden, myth, mythology, Robin Hood, Stone Circles, Wainstalls. Bookmark the permalink.